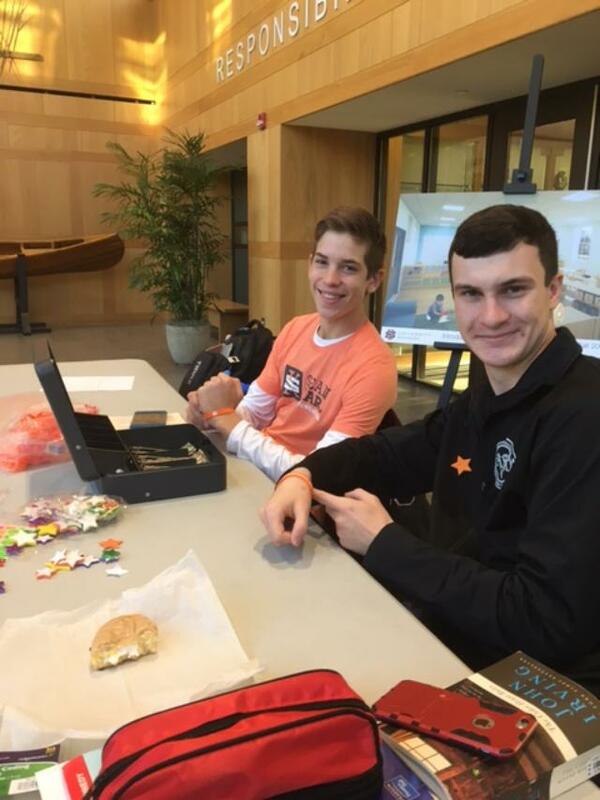 Chas Norman, Sophomore (left) and Daniel Ryan (right) held a Dress Down Day at University School in Chagrin Falls, Ohio and raised $723 for the Sean Karl Foundation. Chas, a tennis player at the school, was familiar with Sean’s story and wanted to make a difference. Also, Daniel has been studying Ewing Sarcoma through a research program provided by the school. 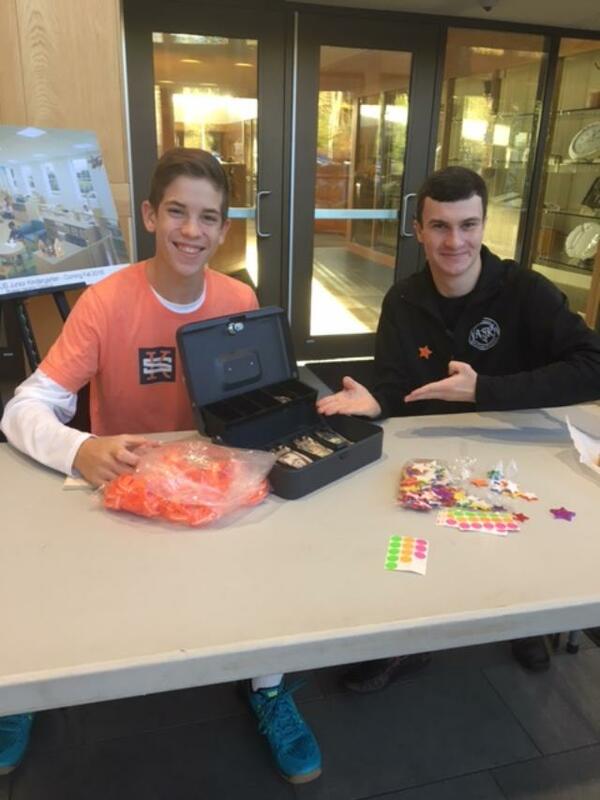 Laurie Karl had the opportunity to address the school on 10/27/17 and discuss Sean’s story and why the foundation is passionate about funding medical research for Ewing Sarcoma. 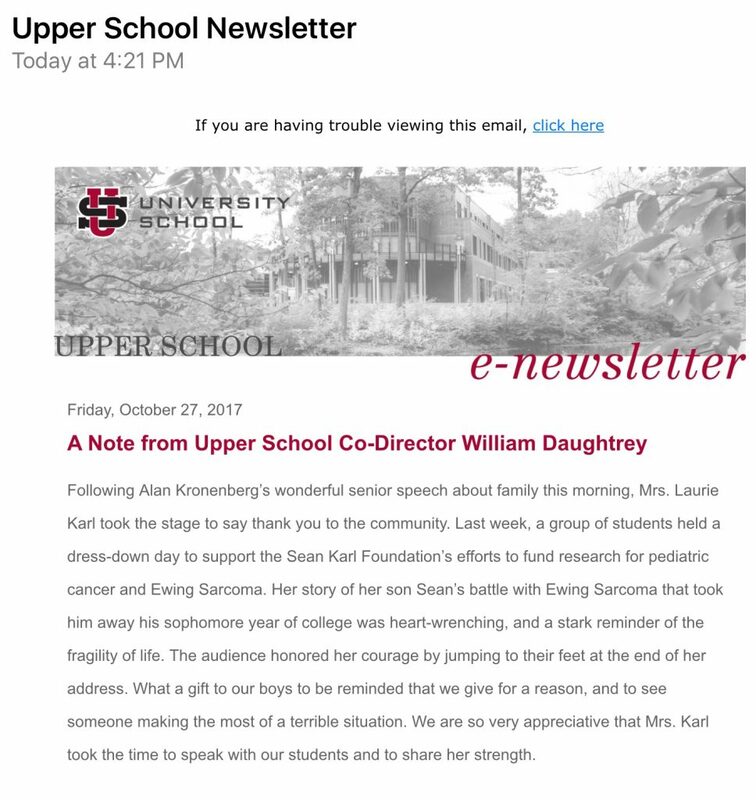 Thank you to University School for stepping up and making a difference!